Ever since I can remember I have been an athlete. Growing up in the great Northwest, I played just about everything. Each sport’s season rolled from one to the other, from baseball to football to soccer and then wrestling. Baseball quickly became my passion and primary focus. I played at a very high level all through High School. Sports were my passion. After High School I joined the Marines in early 2001. I left behind everything in pursuit of a higher calling, a calling to serve this great nation. I ended up serving 14 years active duty and grew through the ranks of Private to Staff Sergeant. During this time I completed 6 combat tours, 3 in Iraq and 3 in Afghanistan. During my career and between deployments, I continued playing sports. I had the opportunity to continue playing baseball for the All-Marine Baseball team, a very competitive organization that played against Triple A, semi-pro and Division 1 teams. A few years later, I focused on football, where I was a kicker turned QB and free safety. I have spent my entire life trying to find a way to take my fitness to the next level. I worked out for endless hours as your typical meathead in the “globo gym” scene. Fast-forward 11 years and it was time to take on a challenge of becoming a Drill Instructor (DI) for the Marines. A friend of mine wanted to get in better shape before going to DI school himself, and asked me to join him in trying CrossFit. I remember walking into the “box” with my ego high, seeing guys and gals lifting weights and sweating profusely. Looking at my first CrossFit workout, with my confidence still high, I laughed and thought “piece of cake!”. Well 15 minutes later I was drowning in a puddle of my own sweat and gasping for what felt like the last breath I would ever take! Needless to say I was quickly humbled and instantly hooked. I found myself wanting more then to just show up and workout. I knew I wanted to coach and share the knowledge of CrossFit with other members. I received my CrossFit L1 Trainers Course Certificate and subsequently started a three month coaches prep course. I felt fortunate to have the opportunity to coach other aspiring CrossFit athletes and see their joy as they reached goals and hit new limits daily. I had the opportunity to expand my knowledge by taking on the gym manager as well, helping with daily business operations and larger events. At this point, my passion for CrossFit grew and I felt called to branch out and start my own affiliate. Fast forward to May of 2014. 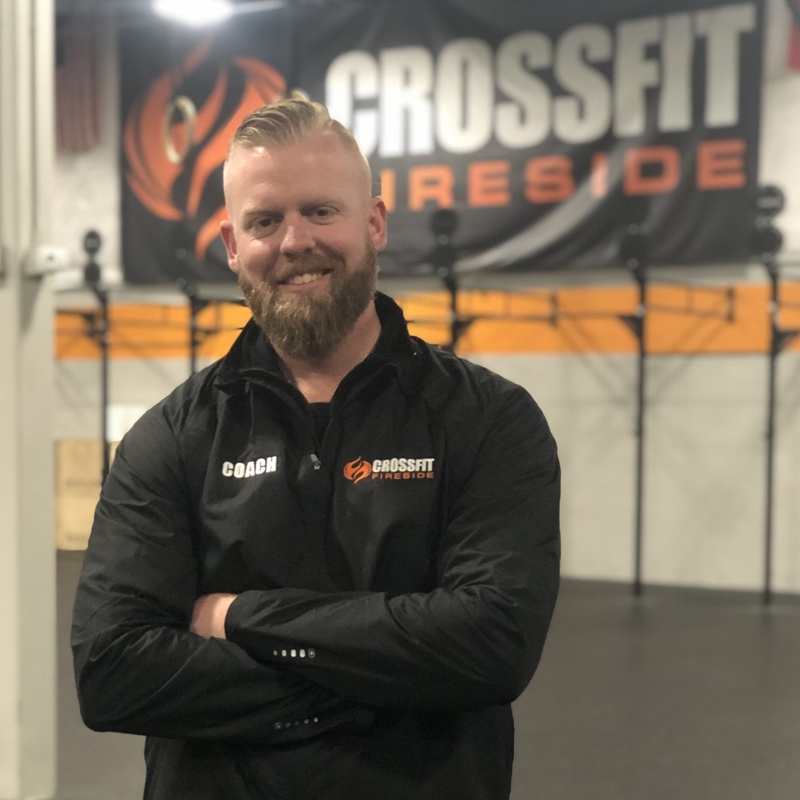 I took a huge leap of faith, and ended my Marine Corps career after 14 years, leaving everything familiar to follow my passion of investing into people, health and wellness through the vehicle of CrossFit.